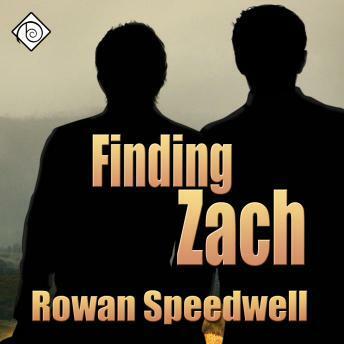 Listen to "Finding Zach" on your iOS and Android device. For five years, Zach Tyler, son of one of the world's richest software moguls, was held hostage, tortured, and abused. When he is rescued at last from the Venezuelan jungle, he is physically and psychologically shattered, but he slowly begins to rebuild the life he should have had before an innocent kiss sent him into hell. His childhood best friend David has lived those years with overwhelming guilt and grief. Every relationship David has tried has fallen apart because of his feelings for a boy he thought dead. When Zach is rescued, David is overjoyed-and then crushed when Zach shuts him out. Two years later, David returns home, and he and Zach must come to terms with the rift between them, what they feel for each other, and what their future could hold. But Zach has secrets, and one of them might well destroy their fragile love. wow. one of the best books I've ever read. I can't speak highly enough. Unfortunately, I think this one is a little too dark for me. It's heart wrenching and I can appreciate the story, but I can't finish it. I don't mind an emotional read that leaves me feeling a bit wrung out, but this is making my stomach upset. I must be a softie. On a side note, I have a lot of friends who absolutely love this book. There are a lot of good reviews. The story is good, but just realize before you start that it is dark.